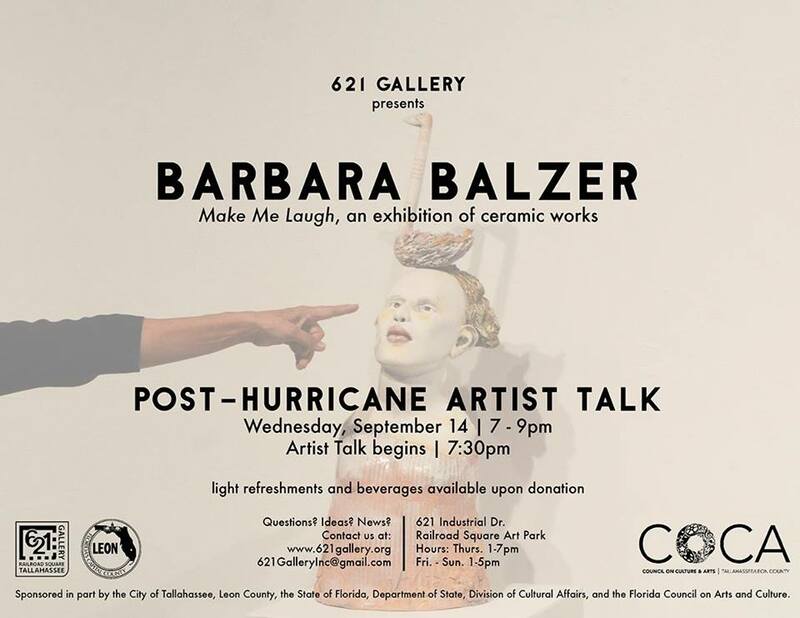 621 Gallery was so impressed by the amount of Tallahassee-folks that came out to support Barbara Balzer and Morgan Hamilton in the wake of Hermine! Barbara has generously offered to give an additional lecture on her work on Wednesday, September 14! Barbara will begin her artist talk at 7:30pm, followed by a Q&A session and snacks-and-mingling.